Hungary – a wine region located in the central part of Europe. Hungary, which is located in the central part of Europe, has a long history of winemaking dating back to the Roman times. Although the country has gained the global reputation for just a couple of wines, it’s been in the wine industry as a producer of diverse wine styles for centuries. This is one of the very few European countries with its own wine vocabulary. The tough to find and hard to pronounce wines from Hungary are delicious to taste thus becoming the nation’s pride. As mentioned earlier, vine cultivation has been carried out in the country since the Roman times and thus, it became an important wine producer of the European continent by the middle ages itself. Tokaji, the world-famous wine style from Hungary was first mentioned during the fifteenth century itself. It was from the seventeenth century that the sweet wines from Hungary have become popular. 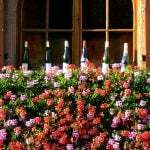 Today, this popularity that was gained by the Hungarian sweet wines is well-preserved. It is noted that during the Communism period, the quality and diversity of Hungarian wines were compromised for higher yields. Due to these reasons, some of the indigenous grapes of Hungary were almost disappeared. After about two decades from the fall of Communism, the Hungarian wine industry has started reviving the traditions that existed in the ancient times. Today, the country is particularly famous for its intense white wines and their sweeter counterparts. Apart from these, the winemakers have started to experiment with international varieties as well. We could say that this is the time of Hungarian innovation in the wine industry and we could expect some of the finest Hungarian versions of wines made from international grape varieties in the near future. Furthermore, the country is on its way to recreate and rehabilitate its indigenous grape varieties also. Thus, we can say that there are lots more to come from this wine country for the global wine lovers! I would say that the climatic conditions and soils are perfect for vine cultivation in the country. Thus this small country is embracing as many as 22 wine regions, each with a unique microclimate and producing wines of different tastes and styles. Among these, Tokaj is the best-known wine region of the country and is noted for the long warmer autumns and mists that are creating the ideal conditions for noble rot. This is contributing for the botrytised grapes for which the Tokaj is more popular. The most important grape varieties that are found in the vineyards of Hungary at present includes the traditional, regional, as well as the international (French origin) varieties.